From traditional folk to Celtic rock: Irish tunes for your St. Paddy’s Day festivities! With spring just around the corner, an abundance of green has been sprouting and leafing out here in southern California, but we’re especially seeing a lot of green today for St. Patrick’s Day! For centuries, the color green has been associated with Ireland, and thanks to Irish diaspora, St. Patrick’s Day is celebrated all around the world with plenty of green attire and décor, public festivities and Irish music. True to their cultural heritage on this day, Irish musicians are filling the air with Irish folk music using traditional instruments such as the flute, fiddle and bagpipe. Ireland is also known for its innovative artists that fuse Irish music with popular genres, so you may even hear these traditional sounds melded with thumping drums and guitar riffs! This practice of combining old and new styles in Ireland even produced its own music genre—Celtic rock, championed by artists like Flogging Molly and the Young Dubliners, who have played Levitt pavilions in Arlington (2014), Bethlehem (2016, 2011), Denver (2016) and Los Angeles (2014). 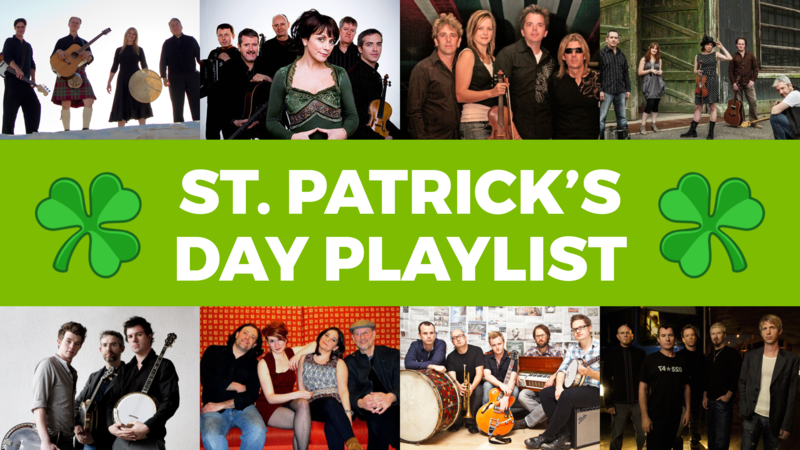 With so many talented Irish music acts that have played Levitt stages—some even coming all the way from Ireland, we have plenty of songs for your St. Paddy’s Day soundtrack! Listen to traditional and genre-bending artists like We Banjo 3, Dervish and more with our St. Patrick’s Day Spotify playlist on the right. Wishing you a fun and safe St. Paddy’s Day! This entry was posted in Holidays and tagged playlist, St. Patrick's Day on March 17, 2017 by Lucy Truong.